Gareth Southgate has called for understanding after Declan Rice's apparently pro-IRA social media posts were revealed on the eve of his England debut. Rice, 20, is in line to play for England against the Czech Republic at Wembley tonight (7.45), having switched his allegiance from the Republic of Ireland, who he had represented all the way up to senior level. But when Rice was 16, and playing for the Ireland U-17 side, he wrote "Up the 'RA" on Instagram. The phrase traditionally indicates support for the IRA, especially when used in the song 'Ooh ah up the 'RA'. Rice issued an apology for the posts on his Instagram account yesterday afternoon. "I recognise my attempt to show support for my team-mates at the time could be negatively interpreted," Rice wrote. "I sincerely apologise for any offence caused." Southgate was questioned at length about Rice's posts in his press conference at Wembley yesterday. He had not even had the chance to speak to Rice at that point, but Southgate confirmed he would be speaking to the West Ham midfielder before the Czech Republic game. Southgate's comments were never critical of the defiant camp-swapper, instead making clear that he believes that players should not be too harshly treated for mistaken comments they made on social media when they were minors. And that those comments, while unsavoury, should be viewed in that context. "Yes, I'll go and just make sure he knows that firstly, that he's OK and that he's supported," Southgate said. "I understand that it's not a situation that should just be dismissed. "But equally the context, the period of time that's passed and his age at the time is all relevant in how we should deal with it." 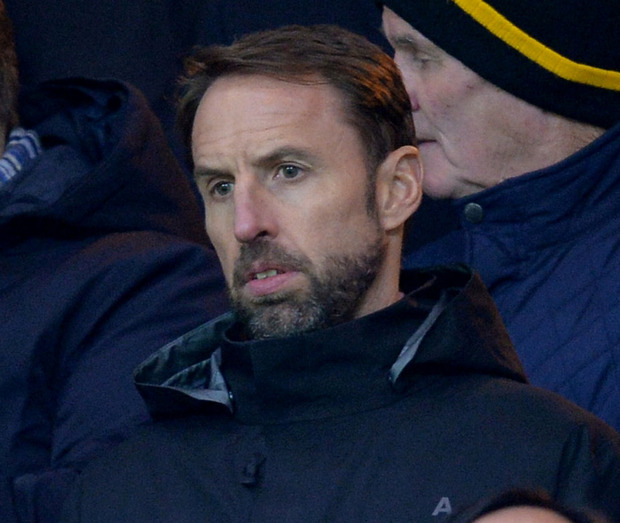 Given how many players find themselves embarrassed by historical social media posts, Southgate reminded the world that teenagers are not "mature". And he hoped that England fans, preparing to welcome Rice into the team for the first time, would understand that about Rice because the situation of making misguided social comments when young is not unique to Rice or even to football. "I think they (the fans) will understand both the situation he's found himself in, in transferring across national teams, and the situation he's found himself in today," Southgate said. The England boss added it would not change whether or not Rice would start England's Euro 2020 qualifier tonight. "It won't affect anything in that respect," he said. "He's fitted in really well with the team. He's looked excellent."